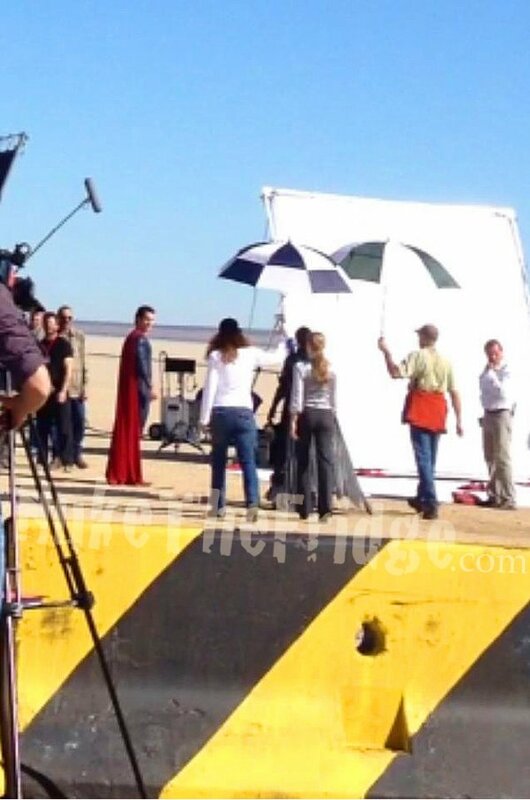 New “Man of Steel” Set Image Released. | The Cineaste's Lament. ← Take A Good Look: Here’s Cobie Smulders As An Agent Of S.H.I.E.L.D. New “Man of Steel” Set Image Released. Here’s a fresh look at director Zack Snyder’s reboot of the Superman movie franchise. According to Cosmic Book News, it was shot in the desert near Edwards Air Force Base in California. Henry Cavil, Amy Adams and Michael Shannon star. This entry was posted in action, Film News, Summer Blockbusters, Superhero Cinema and tagged Amy Adams, Henry Cavil, Man of Steel, Man of Steel set photos, Michael Shannon, Superman, Zack Snyder. Bookmark the permalink.